DoC friend Andrew Cleveland has been a fixture of this blog - his bands Pretty Mouth and The Blind Surgeons Operation have been featured multiple times. A little while ago he started a new project called Goth Girl, which raises the misanthropic noise element of his previous bands to the Nth degree. I e-mailed him some questions to find out more about his new music-ish endeavor. Dreams of Consciousness: Andrew, it's been a busy year for you. Not only has 2015 seen new releases from TBSO and Pretty Mouth, but you just started a new solo project. What is Goth Girl and how did it come into being? I've wanted to do something like Goth Girl for many years now. Recently I've found myself with a lot of free time so I thought now was a good time. The major push was delving deeper into the noise genre and just being influenced by all of the creativity that exists within it. I'm excited to learn more and more ways of ruining peoples hearing. DoC: How would you describe Goth Girl? How does it compare to your other bands like Pretty Mouth and TBSO that also have a strong grind/noise element? Although GG operates in the same genres as some of my other projects, I feel that it is able to stand on its own. 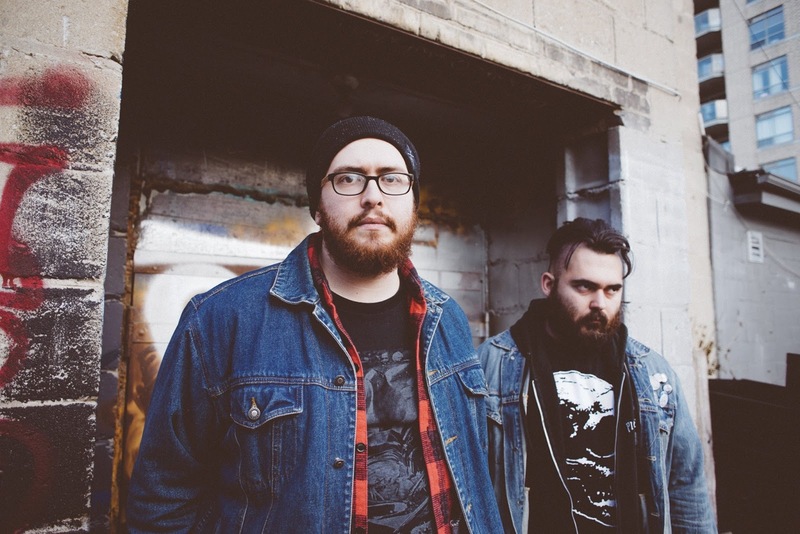 The more I listen to noise and the pioneers of that genre, the more I can see how my earlier attempts at it barely scratch the surface, or even plateau in some cases. With this project I finally feel like I am creating something that could be described as "noise" if that makes any sense. DoC: What is your writing process like for Goth Girl? How do you know when a song is "done"? So far I have gone the micro song route so this is a fair question, hahaha. I write the drums first, that dictates how long the song is gonna be. After that I layer as many sounds as I can until it sounds complete. Then add the vocals. I have begun experimenting without using any drums, or distorting them to a point where they become another layer of noise. You will see this on my upcoming EP in 2016. DoC: I understand you record all the Goth Girl material in your own apartment. 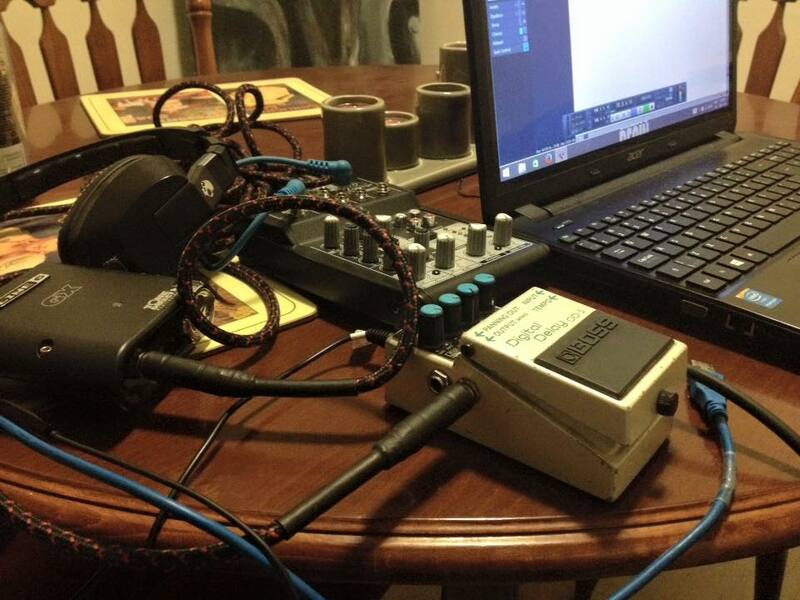 How do you record and have your neighbours made their displeasure known? All of the noise is contained to my laptop, drum machine included, so I don't have to worry about any complaints in that sense. For the vocals though, I do them in my living room with my phone. I figure I'm saving everyone from the harshest part of the music so when it comes time to do vocals, no fucks are given. DoC: One of the things I'm most excited about GG is that Lance Marwood from Pretty Mouth is contributing some vocals to the project. What's it like working with Lance again? Working with Lance was incredibly easy. It was in Pretty Mouth, I knew that it wouldn't change for this collaboration either. I sent him the material I had recorded and he finished his contribution in less than a day. These aren't 5 second songs either, hahaha. I can see us teaming up again in the future. I'm very excited to release what we worked on, which will be out on January 1st. DoC: You also released a split with my buddy Josh/Limbs Bin. How did you guys get in touch? 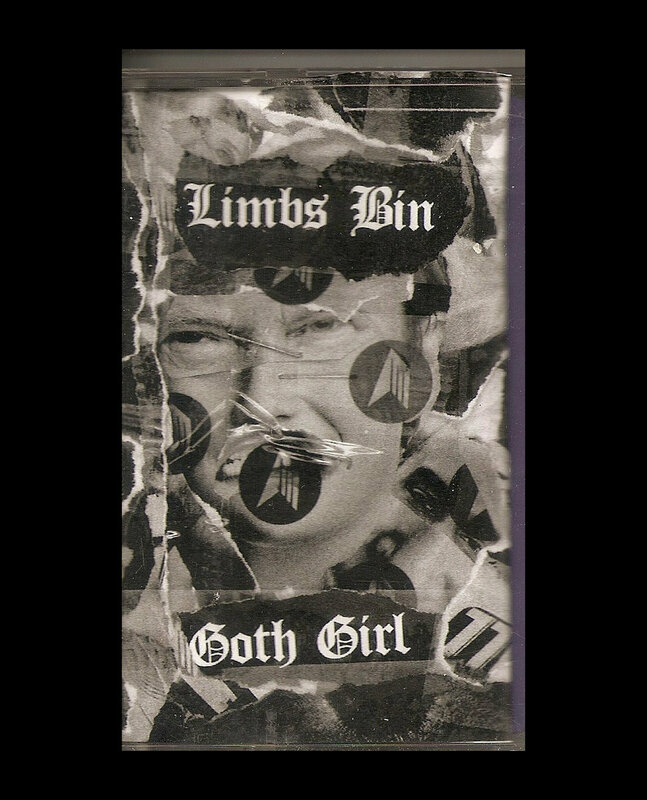 How do you think Limbs Bin and Goth Girl compliment each other? I was browsing the music blog Cut & Paste when I came across Josh's project Limbs Bin. I actually owe a lot to Josh, he is a big influence on this band. After I started listening to Limbs Bin I eventually built up the courage to ask him about doing the split and he was super into it. Not only that, but he was also interested in learning about me and my musical background and what not. That brand of kindness isn't something I've come across so far in asking for splits, hahaha. Josh is the best though and I hope we can play some shows together in the new year. DoC: This is usually the part where I make a joke about Canada, but your music is getting increasingly more disturbing, so I'll tempt fate another time. I don't have a question, I just thought I'd let you know. That's fair. I have been sending you my fucked up bands for years now and I can't even imagine the stuff you find on your own. DoC: Are you planning anything special for your upcoming NYE's set? I am! My first set back on the 20th was very basic. I performed just vocals over a backtrack. I didn't wanna over complicate my setup in case I absolutely hated performing with GG live. Luckily I didn't hate it, so for this performance I will be incorporating live noise into my set. I will be performing my 2015 Demo in full as well as a portion of my upcoming 2016 EP. On top of that I will be improvising some live noise. I'm very excited to ruin NYE for everyone. DoC: Seriously, I'm worried. Does Canada's health care system cover hugs? If it does, we should get rid of that ASAP. We honestly need more angry weird bands. DoC: What's in the future for you and Goth Girl? Hopefully the world will end in 2017 so all of this will still seem important.